While it may not enjoy the global notoriety of, say, ABBA, IKEA or Swedish meatballs, the potato pancake (or raggmunk) is about as Swedish as it gets. One of the masterpieces of the Swedish kitchen, a raggmunk is a kind of shallow-fried pancake made of grated potatoes, similar to a Jewish latke or Irish boxty. A true Swedish raggmunk always has to be served with fried salted pork and lingonberries. The dish dates back to the early 1900s, and the name is an amalgamation of the word “ragg”, which refers to the crispy, fried edges, and “munk”, which is a synonym for donut or cake. If you want to make a truly delicious raggmunk, there is a simple rule that must be obeyed: Always use “old” potatoes (not fresh or new ones, as they do not contain enough starch to hold the pancake together) and cook the cakes in bacon grease until golden brown. Another staple of Swedish cuisine is Skagenröra, often found spread on top of a “Toast Skagen”. Although the name and ingredients of this classic salad of fresh prawns, mayonnaise, dill and red onion would make you think it comes from Denmark or the west coast of Sweden, it was actually invented by Stockholmer Tore Wretman. 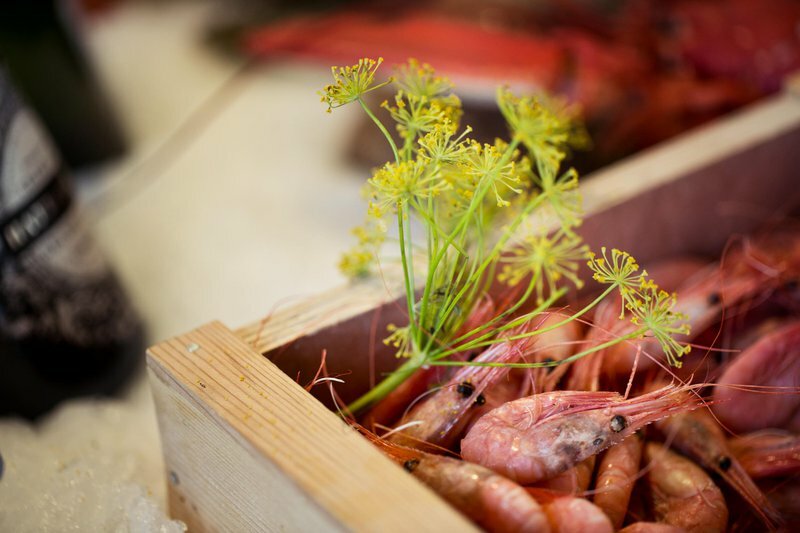 However, it is best enjoyed in its freshest form on a sailboat or in a seafront café in the Gothenburg archipelago. 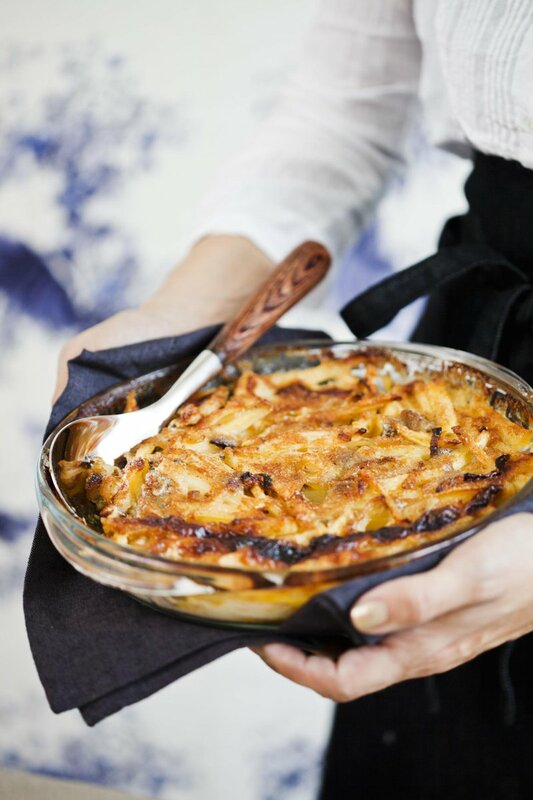 Jansson’s Frestelse (which literally translates as Jansson’s temptation) is a timeless Swedish casserole made of potatoes, onion, pickled sprats bread crumbs and lots of cream. It is traditionally served as part of the Swedish Christmas buffet (julbord) and often features at Easter too. A common misconception is that this dish is made of anchovies instead of sprats – this is because the Swedish translation for sprats is ansjovis. The Wallenbergare is a quintessentially Swedish take on the American hamburger. The patty is made of ground veal, cream, egg yolks, salt, pepper and breadcrumbs, and is seared very lightly, to keep it light and airy on the inside and barely brown on the outside. It is usually served with boiled or mashed potatoes, lingonberry jam, green peas and gravy.